Behave or Giants will eat you! : For indigenous cultures everywhere, we’ve survived and struggled harmoniously with nature implementing valued practices, stories, songs, lessons, examples, etc. of our collective groups, to express the importance (and meanings) of life and each individual experience (and possibility), all without the necessity of scripture. So, my favorite story (not scripture) of my people today, is one that my Grandma Helen shared with me some time ago. 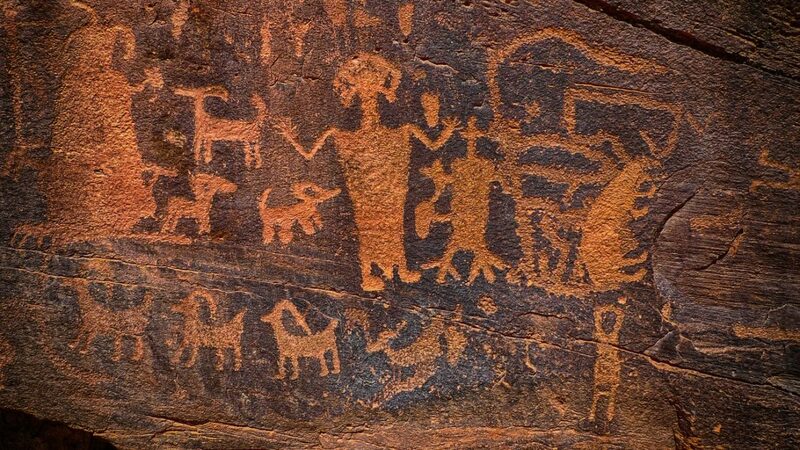 The Great Basin story is about a race of red-haired giants who carried large baskets on their backs—back when the Numu (Paiute, for human beings) lived free along the mountain sides and in the valleys. Red-haired giants would steal Numu, place them in their large baskets, and run off with them. If the red-haired giants were to catch you out late; misbehaving, being dishonest, etc. they would surely eat you. What an effective tool to teach children: expectations, obedience, mindfulness, consideration, honesty, and respect for their parents and community…or get eaten by giants. At the time, this was the most progressive model and deterrent to crime control as we knew it.